Replenishes skin's water reserves for long-lasting hydration and healthy looking skin. 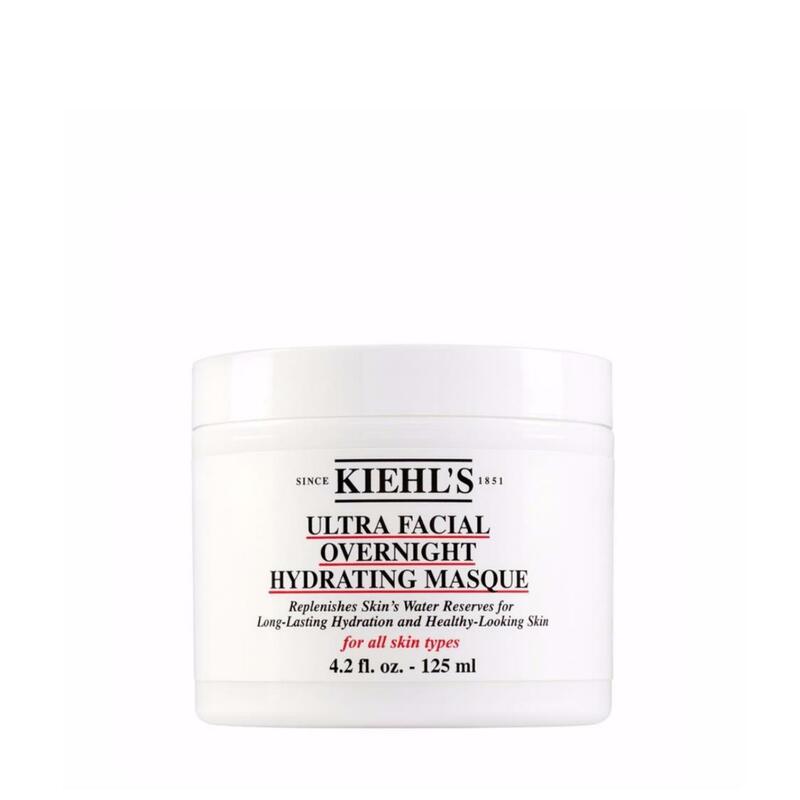 Kiehl's Ultra Facial Overnight Hydrating Masque instantly boosts skin's ability to absorb and hold moisture for sustained hydration.Formulated with Ophiopogon Japonicus Extract, also known as Fountain Plant, the formula helps amplify the hydration provided by a daily moisturizer. Applied before bed, Ultra Facial Overnight Hydrating Masque replenishes skin's water reserves, allowing it to retain moisture and function like a hydration reservoir. The formula, with pro-hydration glacial proteins and desert plant extracts, helps protect and reinforce the skin barrier boosting hydration levels and leaving skin smoother and softer, refreshed and supple. How To Apply: At night before bed, apply a healthy layer of Kiehl's Ultra Facial Overnight Hydrating Masque onto clean skin. Leave on for 10 minutes Use a tissue or towel to remove excess but leave some to continuously replenish skin's moisture throughout the night. Allow masque to work while you sleep Follow your normal skincare regimen in the morning. Repeat once a week.